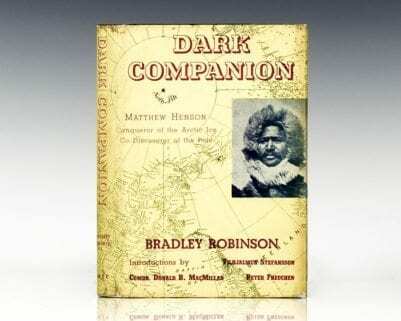 Matthew Alexander Henson was the first African-American Arctic explorer, an associate of Robert Peary on seven voyages over a period of nearly 23 years. They made six voyages and spent a total of 18 years in expeditions. 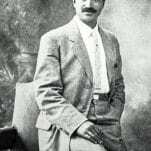 Henson served as a navigator and craftsman, traded with Inuit and learned their language, and was known as Peary's "first man" for these arduous travels. 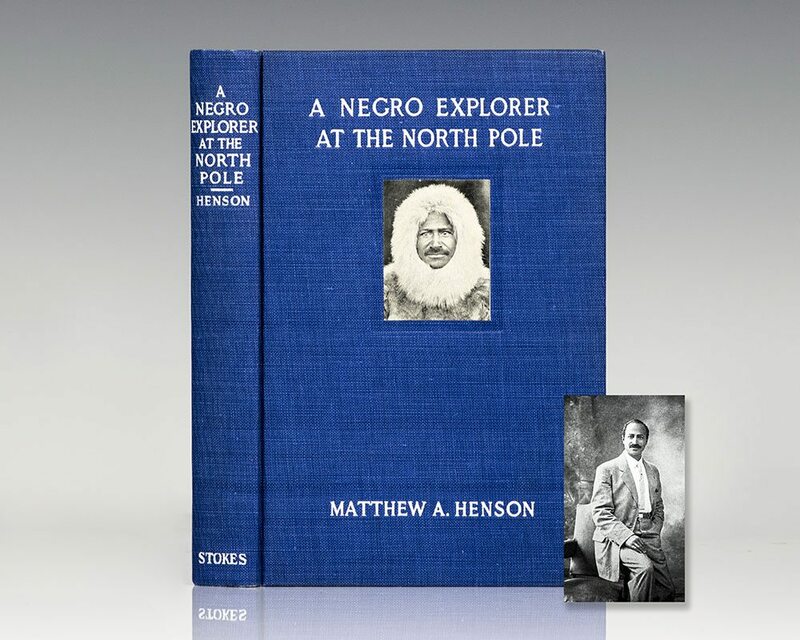 The first to break the color barrier at the Explorer’s Club, Henson was also the only member of Peary’s party to master the Inuit language and method of driving dog sleds. 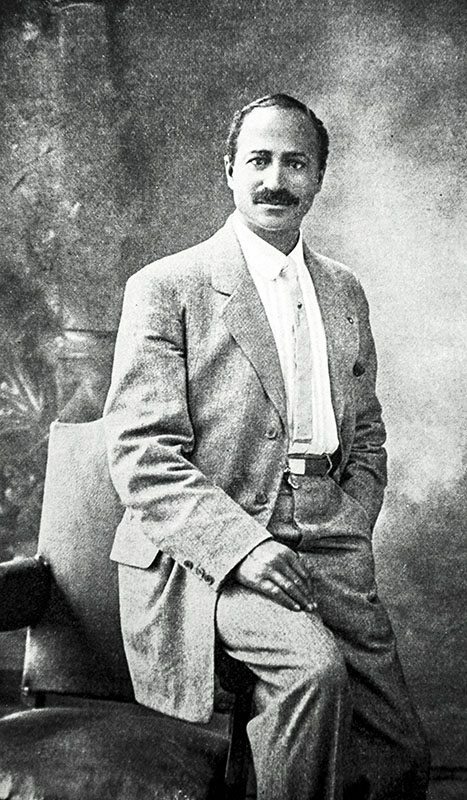 His only descendants are through his children with an Inuit woman, Akatingwah. Henson, Matthew A. and Bradley Robinson. New York: Robert M. McBride & Co, 1947. 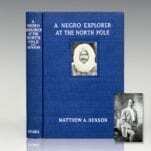 First edition of this biography on the explorer Matthew Henson. Octavo, original brown cloth, cartographic and illustrated endpapers, folding map in original glassine envelope. 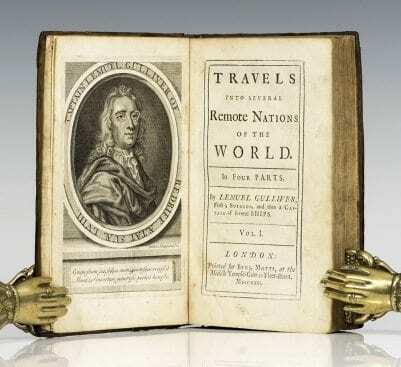 Signed by the explorer Matthew A. Henson on the title page. Additionally inscribed by the author on the title page, “To Gladys and family- In appreciation for your wonderful kindness- Bradley Robinson.” Also inscribed by Robinson with a full page inscription opposite the title page, “Dear Gladys- You told me the winters are long and cold in Maine. That’ll a perfect time to read about a place that’s a lot colder. The thought of 50 below should keep you warm. And it’s a good way to remember me- the guy who liked Maine lobsters and fish- but didn’t get much of any that was legitimate or counted Very best Brad.” Introductions by Vilhjalmur Stefanson and Peter Freuchen. Foreword by Commander Donald B. MacMillan. Near fine in a near fine dust jacket. Exceptionally rare and desirable signed by Henson and with such a long inscription from Robinson.